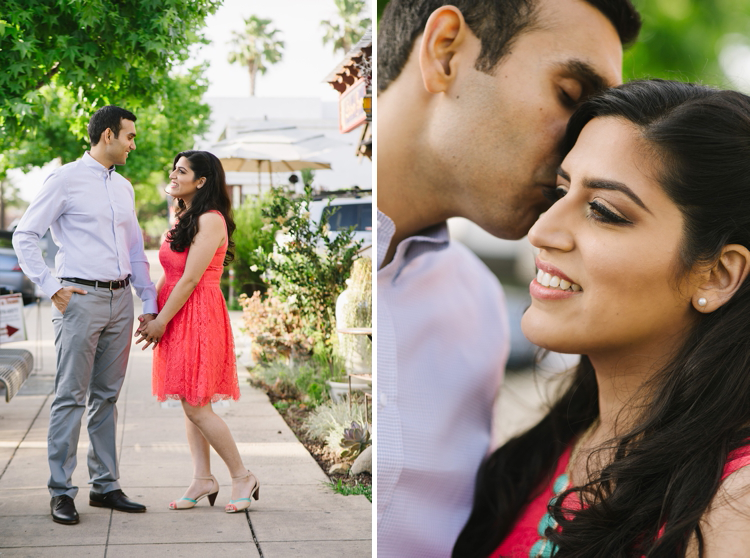 Today we're gearing up for this lovely couple's two-day wedding extravaganza! With the bride's love for color, the 1960s, vintage video games and "I Love Lucy," we'll be throwing it back at Estancia La Jolla with some retro vibes, playfulness, sparkle and Punjabi touches. She's even got a thing for hippos so you know we can't resist a little hip-hippo-hooray! 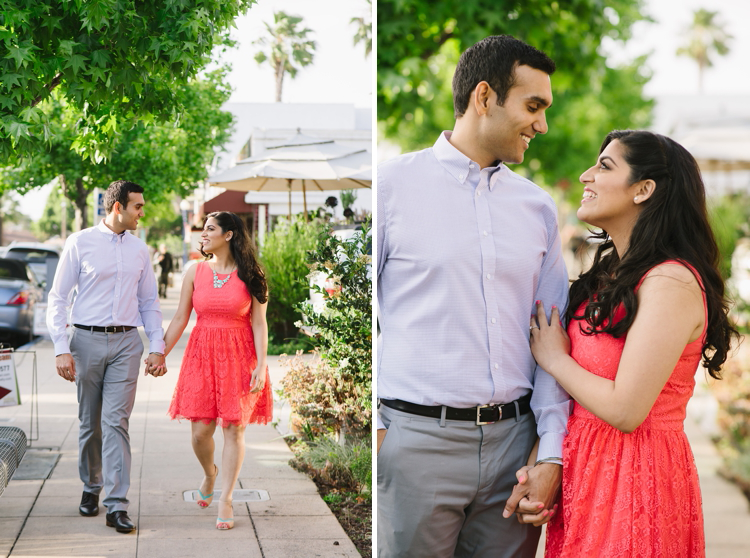 Aman + Sonu absolutely love San Diego and exploring new little neighborhoods, so they headed to North Park for a fun engagement session with Jessica Kettle, walking around the local streets and cafes. Today they're off to dance lessons at Fred Astaire Dance Studios to kick off their wedding weekend...can't wait to see their moves on Saturday!